Being a highly recommended diverse health care company, Novena Health Care is compelled to keep abreast of the latest methods and techniques in providing caregiving services to our seniors, young adults and individuals with developmental disability under our care. Our management requires the staff to undergo regular trainings and sessions that keep our people competent in providing healthcare services. A structured care plan will be used to provide medical or skilled nursing care. We have nurses or nursing assistants working under the supervision of a registered nurse who will be assigned to clients’ homes. Services include but are not limited to IV Therapy, Wound Care, Tube Feeding, Tracheotomy Care, and Ventilator Services. Besides nursing services, we also have home health aides and nursing aides who can provide non-skilled care. 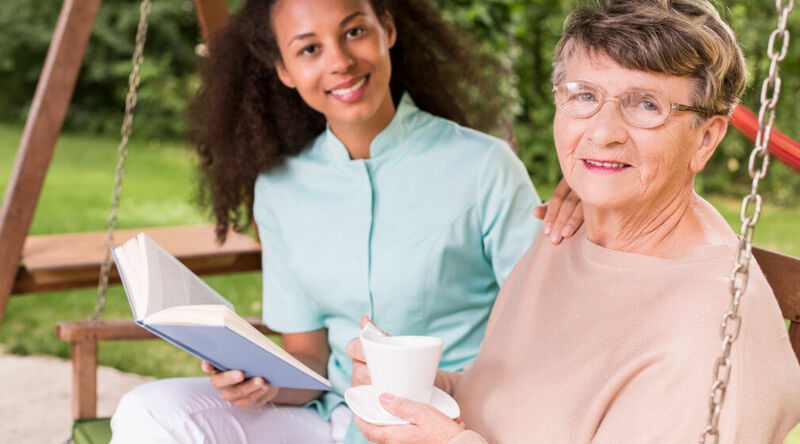 Non-medical health management needs of clients at home are responded to with services such as Companionship, Assistance with Daily Living Activities and Personal Care. Novena Health Care provides residential services to youth and adults with developmental disabilities. Individuals take an active role in developing their individual service plan with our interdisciplinary team. We encourage the people we support to engage in family and community activities. We help individuals achieve their highest level of independence at home and in the community. We currently operate homes in the Prince George’s, Montgomery County and Charles County areas serving individuals with developmental disabilities. Each home provides a family-like environment to the residents. Each home also has a live-in staff person to supervise the home. We provide day care program in all our day habilitation facilities to individuals with developmental disabilities, so that they can blend and function in the community the same as any other citizen. We focus on enabling people to participate in shared recreational, social, educational, and/or spiritual activities as well as providing supervision, training, and support designed to reach a single end result: enhancing quality of life. We currently serve individuals with developmental disabilities or persons with age-related conditions with cognitive and/or physical disabilities to engage in meaningful daytime activities at our locations in Prince George’s and Montgomery counties. Develop socially appropriate behaviors and interpersonal skills. Develop appropriate grooming, dress, and self-care habits, such as toileting. Receive assertiveness and advocacy training in dealing with life challenges, legal, family, social needs, etc. Develop skills that will lead them to be self-reliant and less dependent. We provide assistance with daily living skills, community inclusion activities, access to health care and other community-based services. These services are provided to individuals living in their homes, and are tailored to meet an individual’s needs and goals. Novena Health Care is able to provide staffing in Medical and Nursing Facilities all over Maryland. We deploy Registered Nurses, Licensed Practical Nurses, Certified Nursing Assistants, Certified Medical Assistants and Geriatric Nurse Assistants all over the state for temporary or permanent staffing. Novena Health Care fosters specific values to ensure the staff and the individuals served are prepared to face the day-to-day challenges in life with confidence in their abilities and that there is a supportive team available when needed. Patience – to endure difficult circumstances, this can mean persevering in the face of delay or provocation without acting on annoyance or anger in a negative way. Perseverance – to keep going in spite of difficult obstacles. Respect – to honor and show consideration. Persistence – to continue in a course of action in spite of difficulty or opposition. Call us today for your inquiries at 888-958-3524. You may also send us a message online.